Is Anuya a fangirl of ‘Fangirl’? Watch and find out. A special Books on Toast announcement: If you like our content and wish to support us, then become our patrons via Patreon. Patreon is an online website that works like a crowdfunding website for content creators where our patrons pledge a certain amount of money month on month and we get paid! In return, of course, you get rewards. This could span from patron only behind the scenes content to early access to our videos to free books. The Books on Toast BoTCast is a weekly show where we discuss literature: the good, the bad, the timepass, the serious, the best, the worst and everything else in between. We have a new guest and topic in every episode, so be sure to check back every Wednesday to see waddup! I am absolutely loving these reviews. I had pretty much the same feeling about Fangirl. That’s one of the reason Eleanor and Park remain unread on my shelf. These reviews are giving me life! Who makes your intro music guys? It’s awesome. 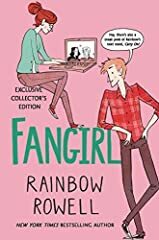 Fangirl isn’t Rainbow’s best book. But I found Simon and Baz to be the best thing about this book. 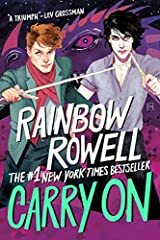 The spin off of sorts that Rainbow Rowell wrote, Carry On is definitely a story with conflict, with interesting characters. That’s a relaxing, fun read. But yes, even that has weaknesses but I enjoyed it nevertheless. Your cursed child threat is working. I’ve been subscribed to this channel for over a year I think, yet I still checked if I had “hit the subscribe button”. Eleanor and Park is just amazing!!! !❤️❤️ Had the same opinion on Fangirl. Also there’s another book called Carry On which is about the fanfiction mentioned in this book. Don’t recommend that either! Yeah, you are right. This is the novel if you want something light, feel good to read. That why I picked this book to read. I loved the love story, it’s so nice and cosy. And before reading this book I read an HP fanfiction (casting moonshadow) , it was a long and very well written, so I wonder how can someone be so dedicated and consistent to the fanfiction and then this book came along so it was quite fulfilling to read it. I love Eleanor and Park!! OMG SAME. 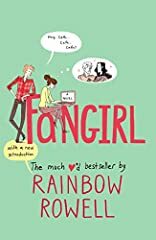 I was hyped for this book because of all the 4 and 5 star ratings by my Goodreads friends AND it was about fandom. But I was struggling to finish it. And I couldn’t understand all those stellar reviews. Also, I gave up on the Simon-Baz stuff pretty soon when it became clear it had nothing to do with the main story. AAAAND the romance *snore*. 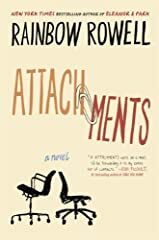 I liked the start where Cath has all that anxiety because I could relate as someone who gets social anxiety, but like, the story – *snoreeeeeeee*. Amazing…. But where is the other one? Please review The Dark Tower Series by Stephen King. Probably the time at which I read it makes me love it so much. But I still love Fangirl and I love you guys too. Is that okay? J K Rowling Did not write cursed child!!! What is this new sorcery? A new upload every third day. Yayy! Yes..it’s a meh book and this book is popular more because Elanor and park. I also found the Simon baz quite distracting, I might have skipped a few of them at the end. Good review though. Finally you all are behaving exactly like a book club/blog/channel or whatever should be like.